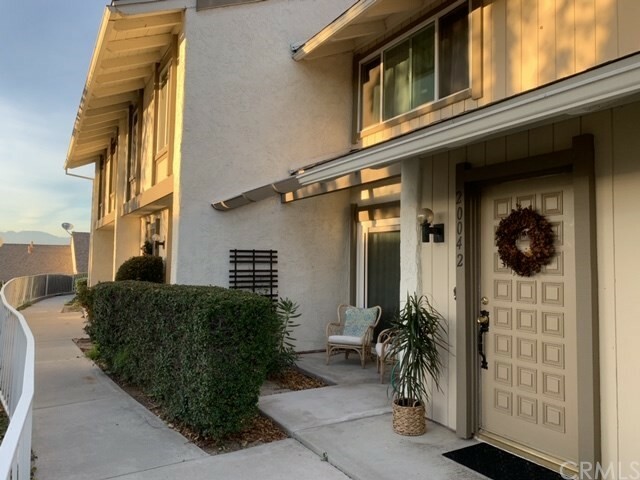 Beautiful 3 bed/2 full bath townhouse style condo in ridgeline community in the walnut valley unified school district. Laminate hardwood flooring throughout. Bright and high ceiling at family room. Two bedrooms downstairs , very large master suite is all by itself upstairs with vaulted ceiling, dual sinks, and walk-in closet. New stainless steel gas range, remodeled kitchen tile flooring, new quartz counter top for double sink bathroom with new tile flooring. Dining room with a patio slider leading to patio. New a/c & gas furnace system installed. Property re-piped with copper and install new water heater 2yrs ago. Attached 2 car garage with direct access. Ample guest parking. 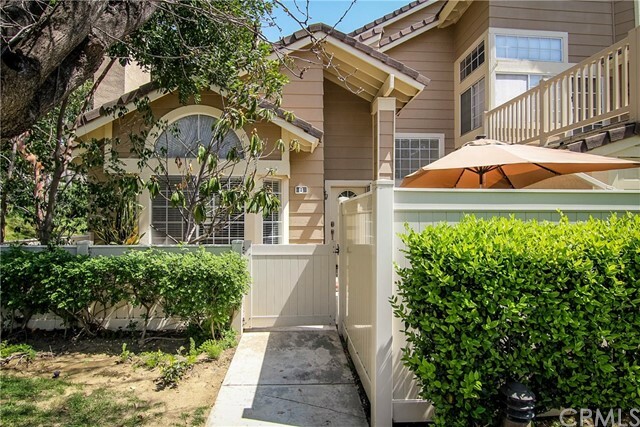 Close to the ronald reagan park with playground, tennis court and basketball court. Easy access to freeway 57 and 60. Hoa amenities include a pool, spa, trash, fire insurance, and common area maintenance. 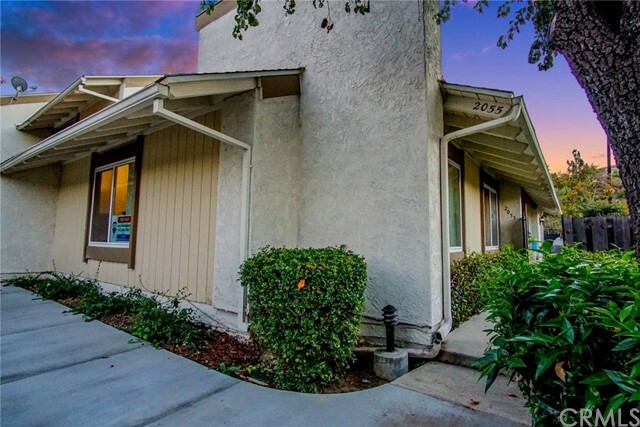 The spacious two story condo situated in the prime walnut area offers 2 suites, 2. 5 baths including a powder room in downstairs. Open floor plan offers: grand living room, dining room with modern ceiling lights, gourmet kitchen features new quartz counter tops, white color cabinetry, upgraded stainless gas range, exhausted fan, faucet and dual sink. New interior painted thru out the house as well as the new laminated floor to coordinate the trended color tone. Upgraded three bathroom's vent, upstairs offers two large size bedroom suites with highly upgraded bathrooms features tile floors, granite counter tops vanity with pearl color cabinets, bathtub with upgraded full tile splash walls. The master suite offers three sliding doors closets and the view of greenbelt. Designer's interior decoration and furniture layout which is available for sale. Courtyard in between the main house and two attached car garages provides outdoor activities area with newly installed air condition unit. Bright and airy environment. Low hoa due which included trash, exterior insurance, common area maintenance, public pool, club house and tennis court. Cul-de-sec. Beautiful community with lots of trees, flowers, shrub. Must see to appreciate. 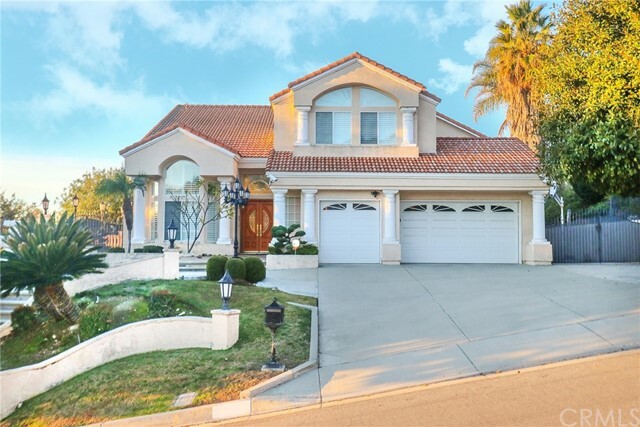 Welcome to the best location in the wonderful ridgeline community also located in the walnut valley school district. This unit was one of the original model homes, and there was a $10,000 bonus paid to the builder for the location. This was in 1988 so just think what the price would be today. It is the rear unit #d and overlooks the pool/spa area. The home has been remodeled with top of the line materials. The kitchen is absolutely amazing. There are pull out drawers for your pots and pans and lazy susan rotating shelves in the corners. Dining area is next to a large window for lots of morning light. All the windows are tinted. Most of the flooring in the home is "real hard wood". The living area has a pretty fireplace surrounded with a marble accent. The loft could be used for a home office, exercise room child's play area or other uses you may think of. There are lots of ceiling fans in the house. The master bedroom has a full bath with dual sinks, granite counters. A 3/4 bath in the hallway. 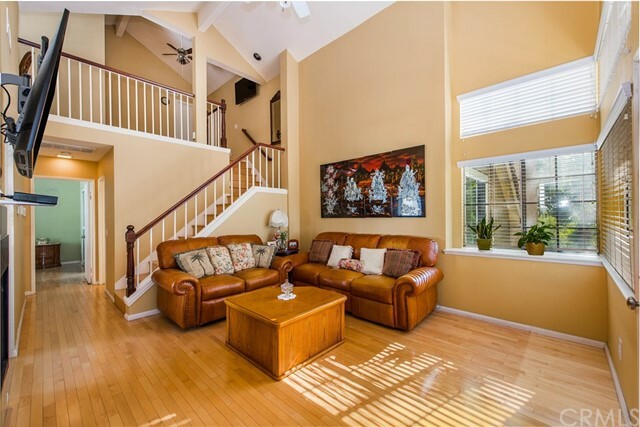 The vaulted ceilings give you a very open feeling or just go sit out on your porch and see lots of trees. Your two car attached garage with a newer door has lots of cabinets and washer dryer hookups. In addition to all that the hoa offers there is very close by, ". 2 mile", the ronald regan park which provides lighted tennis courts, basketball, playground equipment and picnic tables and large grassy areas. Very convenient to shopping, freeway "you can't hear it" and transportation. Beautiful end unit. 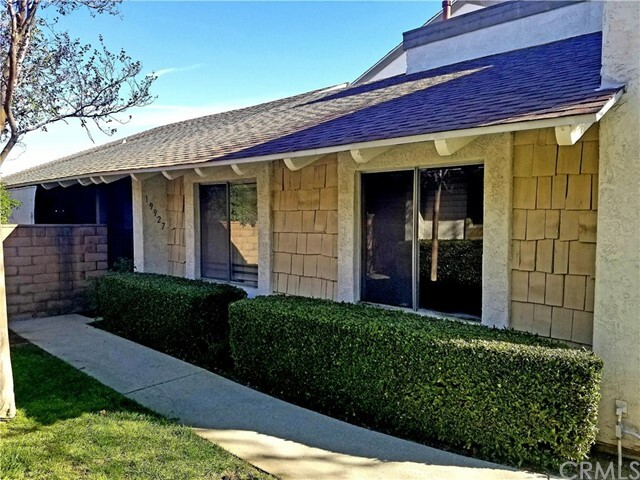 Located in the city of walnut, built in 1976, features 3 bedrooms, 2 bathrooms, living room, dining area, large bedrooms, attached 2 car garage with tons of storage and much more!! Quiet area on a cul-de-sac in the hills. 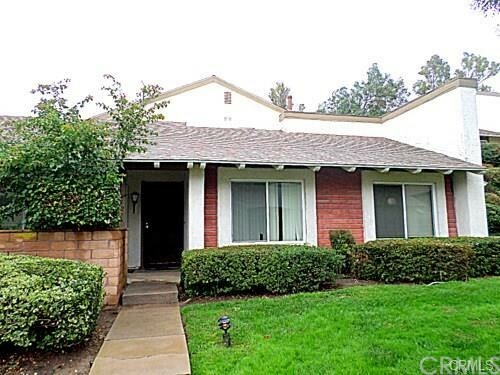 Well maintained community with a swimming pool and tennis court. Must see!! Charming, single level end-unit with attached two-car garage nestled in walnut. 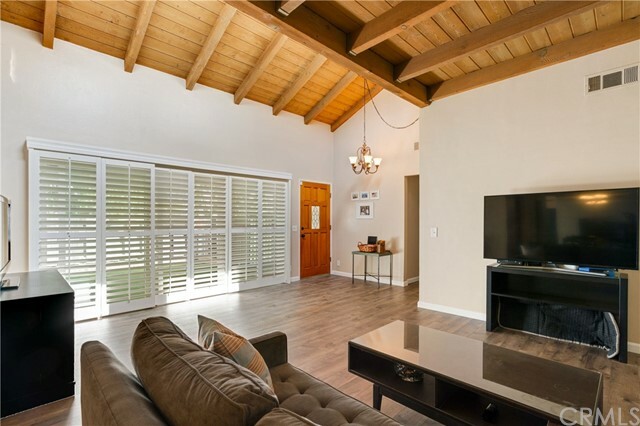 The living room is airy and open with high vaulted ceilings and two large sliding doors that provide an abundance of natural light and offer direct access to a private patio. Both bedrooms are sizeable; the master features an en suite bathroom with a remodeled walk-in shower, two closets, and an extended vanity. In addition, there are washer and dryer hookups in the garage and a water filtration system in the kitchen. Lush trees surrounding this cozy home provide a feeling of comfort and tranquility. With its practical layout this home is convenient for those who seek a one-story home in a desirable area. Community amenities include a tennis court, swimming pool, and clubhouse.